New. Mass market (rack) paperback. Glued binding. 480 p.
New. Trade paperback (US). Glued binding. 448 p.
New. Sewn binding. Cloth over boards. 448 p.
New. Sewn binding. Cloth over boards. 544 p.
THIS BOOK IS SO FRICKING AWESOME! READ IT! The suspense is almost unbearable at times. 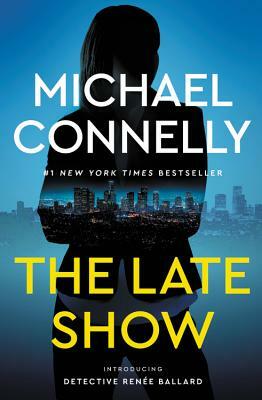 Connelly introduces us to LAPD Detective Renee Ballard. A 14 year veteran, she works the night shift known as "the late show". It's where they put detectives who've had problems. Renee's "problem" was that she filed an harassment complaint against her lieutenant that IAB ruled unfounded. Late show D's go out on calls where detectives are needed but they don't follow through on cases. They turn them over to the day shift, file their paperwork and go home. Well, Renee catches a case of a prostitute beaten so badly that she can't turn he back. The same night she becomes involved in the case of a waitress killed in a multiple shooting at a local nightclub. Even though she's told to stand down, she's feels a responsibility to the victim. When something happens to her ex partner....she's gonna follow through. Damn right. Both these cases will lead down shocking and very dangerous paths. Renee Ballard is a skilled and determined investigator and it is a treat watching this refreshing character being put through the paces of this propulsive plot.